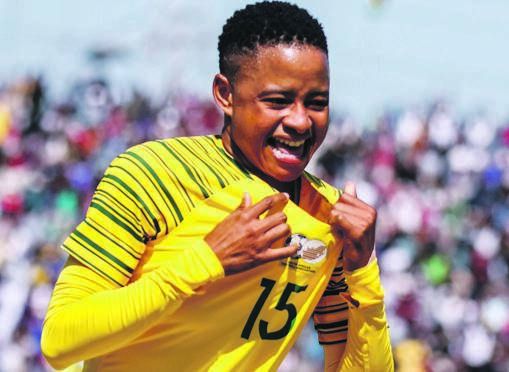 Banyana Banyana vice-captain Refiloe Jane’s parents welcomed us into their small, cosy two-room home just 2km from where the Freedom Charter was adopted in a township close to Kliptown, Soweto. 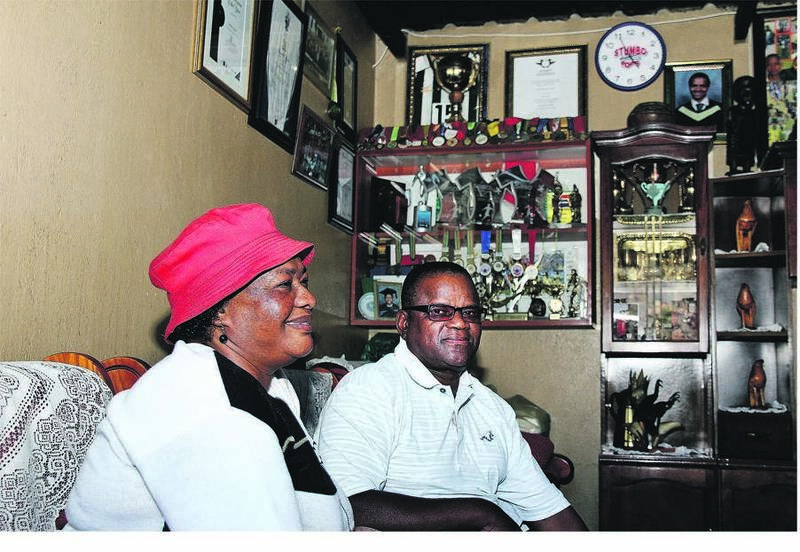 “Refiloe was born in this house,” her mother, Nomvula, says, before her father, Daniel, explains that they moved shortly after Refiloe’s birth to Pimville to a house they still dream about today, but had to move back to Kliptown in 2006 after he lost his job. Refiloe learnt football with her two older brothers, Frank and Emmanuel, on the streets of Pimville, Soweto. Frank recalls the first time he noticed “Fifi” milling around being their ball girl as the brothers played “one-paal”, a game with two bricks on opposite ends of a sandy gravel road. “One day I told her to just come play with us and we played two versus one – them versus me. We would tackle her, disregarding that she was a girl. We played her like a normal guy. “At first she would cry, but she got used to it,” Frank says with a nostalgic smile on his face. It was at the Future Champions Tournament that Refiloe got her big break and her resolve to become a professional footballer. She won the annual tournament’s talent search, beating 1 000 other children, most of them boys, and, by the end of the year, was on a flight to Manchester, England, where she trained with the Manchester City and Everton girls’ teams. She spent the time checking out how professional football, especially women’s football, was treated in that country. “I came back a different person,” Refiloe tells City Press. She was 16 years old. Up to that point, she had played for Colchester United Ladies from Eldorado Park and for Pimville All-Stars. 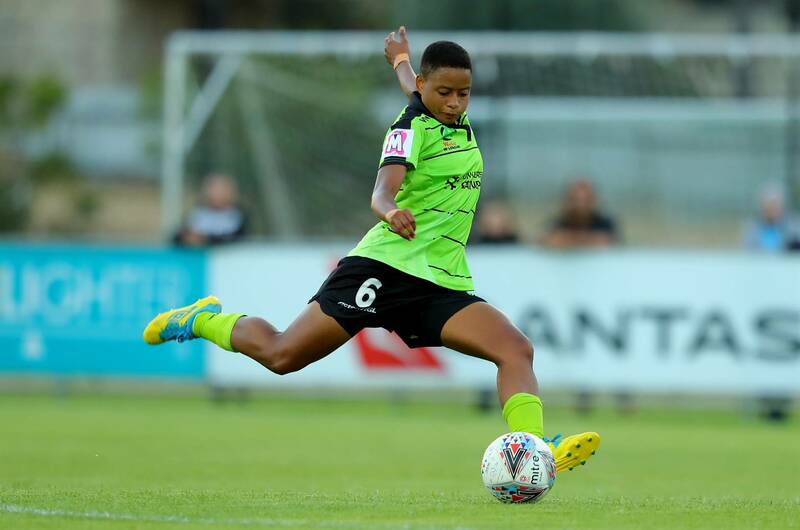 Ten years later, she now plays for Canberra United in Australia. Most of her amateur football was played with boys and against boys, and she even captained boys’ teams. Frank – whom Jane speaks of with great reverence, calling him her “number one and biggest fan” – says Refiloe has inherent organisational traits because of her silent nature, approachable character and ability to listen. Her mum says she has always been that way, even when some people thought it was a disability. “I did not expect Refiloe,” Nomvula says because they had decided to stop having children. Born one month early, Refiloe had many health issues, one of which was her silence. Refiloe eventually started talking at the age of six, with one school teacher describing her as “hyperactive”. “Coaches started coming to our home seeking out Refiloe at a young age. “But they wanted Refiloe and from the age of 10, Fifi was constantly out of the house either training or playing,” says her mum. “I remember when she was at Mamelodi Sundowns, we used to wait on the street corner until 11 in the evening for her return from training,” Nomvula says. Her family’s commitment and support must be what led Refiloe to say: “My family moulded me into the person I am today. Refiloe says she was not stigmatised or treated differently because she constantly played with the boys. Even when she started playing for women’s teams, she yearned to play with the “guys” because “they were more challenging”. Today, Refiloe is a Banyana Banyana regular. She debuted in 2012. Refiloe has played in two Olympic Games, won two African Women’s Nations Cup medals and scored twice in the final of a Cosafa Cup, and she is one of a handful of players who has reached 100 caps. She also has numerous individual awards displayed inside the family home. Clasping each other’s hands, the couple reveals they did not pass matric and are proud that, with the little they had, they made sure to educate their children. Refiloe left Sundowns because they did not want to pay for her education and went to play for Tshwane University of Technology and later Vaal University of Technology, who offered her scholarships. She is now a master’s candidate in sports management and tells City Press she “wants to complete it in record time”. Her dream: to eventually play in England.